How do I begin writing this review for such a lovely human, besides the fact that she is a stupendous midwife? When a mother has such a special person helping her bring her little baby into the world, it’s obviously an understatement to say what a difference it makes! Gina was helpful, not just in giving me information and all the resources that I needed, she treated me with respect and kindness that a woman needs as she embarks on the journey called “motherhood.” Even though I didn’t find her until my third baby, I have come to know that you really begin motherhood anew with each pregnancy and birth story. Due to stress, and fear of finding a midwife who would “judge” me for my religious beliefs, or the fact that our third babe was so close in proximity to our second, I resisted finding someone to help me until I was nearly twenty weeks along. Another midwife recommended Gina, and after the first phone call I was already at ease and excited for my first prenatal. With each visit, even though I was continually stressed in my heart about having another baby so soon, Gina was encouraging and up-lifting. She and her apprentice, Donna (love you, girl!) were also down-to-earth in their perspectives and conversations with me, which helped eliminate my fears. More than any other midwife with whom I’ve interacted, Gina specifically left me feeling heard. After all this encouragement and love, the birth would not disappoint! Our little man came just one day after my due date (quite unlike our first two kiddos!). My contractions began around 8 in the evening, and Gina responded immediately to my “I think this might be it, but don’t freak out” text. She arrived by 10 pm in the middle of a snow storm. Iliyah was born in a rush of quick contractions and only two pushes, just a little over an hour after she and Donna arrived! Donna was also a special surprise during the birth. I never thought I needed a doula until Donna. She was the BOMB.com and made me feel so comfortable, so loved. I think I might have nearly squeezed her knuckles off, but she was there. She even caught me after I nearly fell over in exhaustion the moment Baby was free from my body. Gina was amazing. If I have another baby I wouldn’t think twice about using her again. This was my 4th baby, and I’ve had very long, hard labors in the past with all of my babies. Gina was so attentive to detail. She truly listened to my past birth experiences and gave me lots of great advice and wisdom to prepare for my upcoming birth with her. With other midwives I’ve had in the past I felt like they didn’t truly listen and internalize my fears and concerns regarding my past birth experiences. Gina listened to me wholeheartedly, but more importantly, she remembered it all throughout my pregnancy. I never had to remind her of my story again. She is so loving and cares so much about giving women the best birth they could want. My birth was long and hard and we ended up transferring to the hospital. While it was disappointing, having Gina and Donna there made all the difference. They comforted me, helped with the pain, nurtured me, supported me. It was a wonderful birth! The hospital staff also loved both of them. Gina has respect from them because she is knowledgeable and friendly. Gina is an awesome midwife and I feel lucky to have had her! When my wife and I decided to have a child, she approached me about home birth. 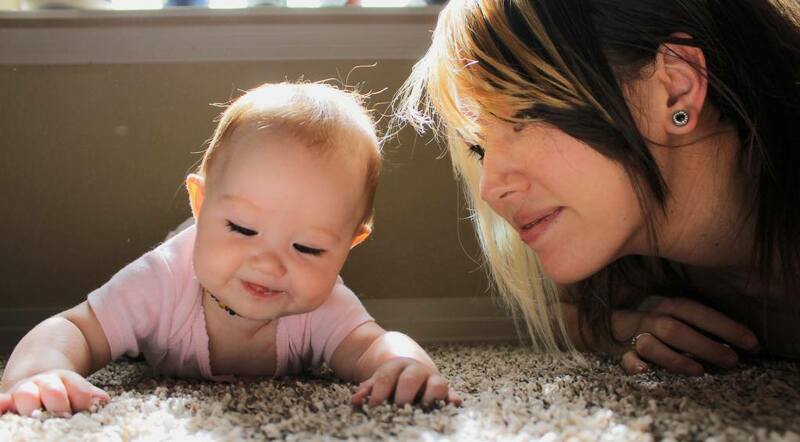 She had previously attended a home birth, and the experience really spoke to her. To me, the idea sounded crazy, and with both of us being in the so-called “danger zone” of advanced age (we were 40 and 41), it seemed doubly crazy. But I wanted to be a good sport, so I did some research. Within a short period of time, I watched the ‘The Business of Being Born’, and we met with Gina. That was all the convincing I needed. That’s not to say my fears went away – they didn’t – but I realized that given the options, home birth seemed the ideal way for us. It turned out to be more wonderful than I could have imaged. We are now the parents of a delightful 19-month old little girl, and having her at home was one of the best decisions we could have made. The intimacy of the entire experience made everything so much more special. Now that I’m on the other side, I literally can’t imagine it any other way. Gina was a huge part of our experience. We met with her for months leading up to the birth, and she was such a nurturing midwife. She comforted to us during stressful times, and provided us with guidance at every step. When the big day arrived, I felt prepared for what to expect, and knew we were in good hands. It was more than worth it. It exceeded all expectations. Gina was the BEST choice for care during my pregnancy even though I was over two weeks late and had to go to the hospital. Not only is Gina kind and knowledgable, but she kept me informed all along the way with my options. I felt cared for and supported every single step of the way. I would hire Gina in a heartbeat if I get pregnant again. Thank you for taking such amazing care of us! Gina was amazing to work with duri ng my pregnancy, birth, and postpartum. Even though we teamed up late in my pregnancy, she made sure to get extra visits squeezed in so that we were both familiar with each other and comfortable. Gina was professional and very knowledgeable, yet visits felt like a chat with an old friend. I had an amazing, peaceful, and empowering HBAC thanks to Gina. Thanks for making me feel safe, cared for, yet in control! I will be forever grateful to Gina for giving me this once in a lifetime experience! The essence of the feminine is holding space for what is being brought into the world. The womb is the most obvious example, but a midwife isn’t far off. She’s holding space for the mother. In that context, I’m especially glad that Gina was holding that space for me. She is easy to be with and comfortingly competent and assuring. I’ve yet to find a birthy question she can’t provide an informed answer for. I felt supremely safe in her care and I’d gladly sign up to have her at another birth. Swallow the Gina pill, man. It’s great. Gina is such a kind and loving soul! We chose Gina to assist in the birth of our second at home. She was recommended by our first midwife and was such a compatible choice! She ensured that we had the perfect birth experience. I wouldn’t have changed a single thing. She is great with providing evidence based information while respecting the wants of her clients. She truly embraces “birthing your way.” We love Gina. We were truly happy with every aspect of our experience with Gina. She was fun to work with, professional, thorough, capable and caring. 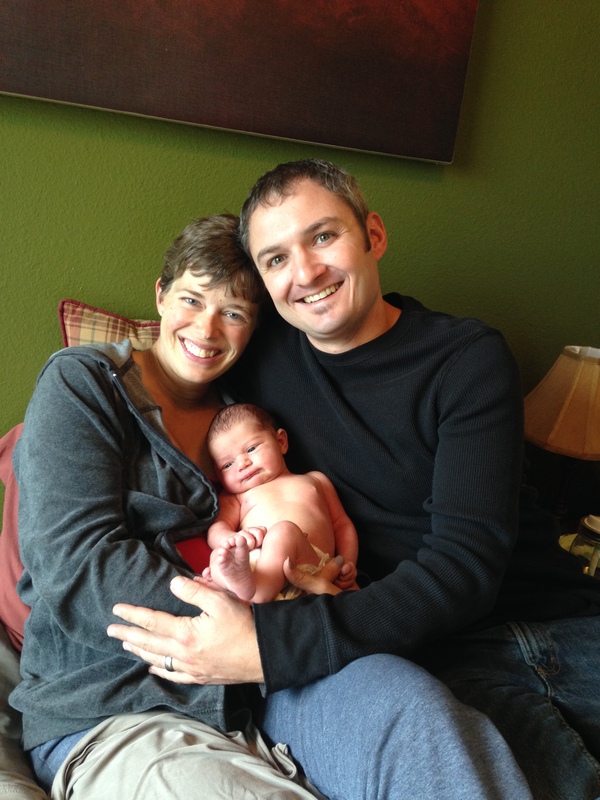 We had a safe and successful home birth that was preceded by excellent & responsive prenatal care. I would definitely recommend Gina to anyone who is looking to have a home birth with a midwife. We ❤️ Gina! Gina is delightful! I felt loved and cared for throughout my pregnancy. She has a holistic approach and provided us with tons of knowledge. I feel so much gratitude that she was a part of our lives during such an amazing event. Unfortunately I wasn’t able to [have a home birth] because of complications that resulted in hospitalization. I am very thankful that Gina had the knowledge to send us to the hospital at the appropriate time. Gina was there with us the whole time to support us and help advocate for us. Although I didn’t get my dream home birth, I feel my family had the best possible outcome with Gina by our side. My favorite part of working with Gina was the personal care we got and all of the time she spent with my family. We never felt rushed. She spent as much time with my family as we needed and we always felt we could address anything that was important to us. Gina always understood my worries or thoughts and helped me to learn more about each of them. She’s very encouraging and informative. She felt like a friend and I felt very connected to her, which is exactly what I wanted for a birth. When it came time to make decisions during labor and birth she was swift and calm! I trusted her completely. When my husband and I first met Gina, we were still recovering from the shock of finding out about my unexpected pregnancy. Gina listened and cared for us from the beginning in such a way that both was professional and personal. She walked with us for the majority of the entire pregnancy in regular appointments, checkups, and even provided some emotional care and parenting tips (as new parents). When potential complication arose, Gina did an amazing job reassuring us and guiding us through the options. Gina’s medical side was a great balance with my desire for natural remedies. Our son was successfully born at home just as we desired, with Gina’s care and support. From the moment that labor began, Gina was ready to be present at any moment. She was a great support through pregnancy, delivery, and postpartum care. If you are considering a home birth, we recommend speaking with Gina, to see if a home birth through her care would be a good fit. It was great for us! There are many things that come to mind when I recall my wonderful homebirth with Gina. The first is walking into her home office, and always, always, ALWAYS encountering some sort of delicious smelling food (and when you’re pregnant, deliciously scented food smells WAY too good). The second, was hearing her say,”Don’t run away from that feeling, go with it.” And lastly, Gina as a person (she’s pretty unforgettable–definitely in a good way). When I first came to Gina, I was a disaster. My “original birthing plan” had fallen apart in a single phone call. I then began making call after call to midwives ALL OVER Colorado hoping to find someone. Each one was full of babies during my birth month, or was simply unavailable. The people I did manage to get a hold of though who were busy, kept on saying, “Try calling Gina,” “Give Gina a call, she’s wonderful,” “My friend Gina might be able to help.” As fate would have it, I called Gina, and amazingly enough, given my chaotic circumstances, Gina was more then happy to take me in. I know the saying is that you feel a weight lifted off of your shoulders, but to me, her simply taking me in, felt like someone had literally removed a boulder crushing me. The world went from bleak, back to colour, and once again I was ecstatic with my pregnancy (well, about as ecstatic a pregnant person can be haha). My significant other, Ryan, was VERY skeptical about this “home birth” business. Like so many others, all he had ever heard, were horror stories and had only seen VERY skewed, biased “statistics.” Upon meeting Gina, she happily and readily showed him more accurate information in regards to homebirth in the state of Colorado, as well as provided him with information as to what it is she does, how she does it, what she, as a professional, carries, etc. Although still very skeptical, he felt a bit better about it. This is one thing that I will ALWAYS appreciate about Gina. She is more then willing and happy to provide you with as accurate information as possible in regards birthing, as well as medical care. She made it VERY clear, that although she is there for your prenatal care and is your midwife, when it comes to birth and babies, you ABSOLUTELY MUST find and learn information yourself. Your care provider is not giving birth. You are. You wouldn’t walk into an important test without studying, would you? She is a very interactive care provider. She not only provides you with information, but also asks what you know about certain things, which to me, is pretty critical. In fact, I still ask her questions from time to time despite the fact that it’s been a while since she delivered my little Pancake, and she happily answers. She never once made/makes light of potential issues. Ever. In fact, she was very clear and realistic, but is still extremely optimistic. Come time for my birth. Unfortunately, I was/am a bit of an under reporter, so I really had no idea I was in active labor until my little Pancake was only a couple of hours from making her appearance. I remember the day of very clearly, as we were supposed to have our final appointment that day with her before the birth. I contacted her and let her know what was going on at 0800 and that I don’t think I’m going to make the appointment, and she shot right over. When she finally arrived and did a check, she was calm…like, scary calm. Smiling face, listening to baby. When she said “Well, you’re sitting at 9”, I was almost in disbelief because of how calm she was. She was doing lots of checks of baby’s heart rate, as well as how I was handling everything. Still very calm, which believe it or not keeps you calm as well, despite the fact that you may or may not feel like you are going to explode. A few hours later, with X-Files playing in the background (yeah…my daughter was born to X-files), a very opinionated little lady made her appearance. A sigh of relief was let out from all of us. One of the most monumental things happened that day, that impacted me when it comes to someone who, not so long ago, I would have thought nothing of. As I was laying there finally able to relax with my daughter, a kiss on the forehead from Gina sealed the deal that I officially just became a mother, and that for the first time in a LONG time, someone with no obligations towards me, genuinely cared and was proud of me. It makes me tear up thinking about it. To this day, that is the one thing I will NEVER forget. That kindness and compassion and what I will so boldly call love for another person…that resonates. She doesn’t judge your choices or lifestyle. In fact, I doubt she even judges others at all! Books maybe (she’s kind of a novelholic :D), but never people. To have encountered such a wonderful person in my life, is truly unforgettable. I would not only recommend Gina as a midwife, but as a doula, or maybe just a friend you should have in your arsenal of “amazing people you simply must know.” She doesn’t view you as just another birth, despite the fact that it is in fact her career. She views you as a person, a human–someone who needs support and love, where there might not be any. Her care doesn’t stop after you have given birth. It remains. You truly do gain a friend, and a “momma bear” for life. Gina Gina Gina! I am so pleased and blessed to have Gina as our midwife. She made my first birth such a easy and wonderful experience. From the first interview my boyfriend and I had felt very comfortable and pleased with Gina. She was very nice, easy going, and happy. She is very passionate about what she does. I was a first time mother wanting to do a natural home water birth. Gina made that possible. Throughout my entire pregnancy she worked with me to make sure I was eating well and taking care of myself and our now beautiful healthy 5 month old baby girl. Gina also went above and beyond and gave us her washer and dryer she was no longer using. Now that is an amazing health care provider. I came to love Gina so much. She always kept it professional, however we all got in good laughs at our prenatal visits. She was wonderful I recommend her to all my friends even though they would never do a home birth. I wanted a baby right away after I gave birth just so I could have Gina in my life. It’s safe to say I had Gina withdrawals. We will be using her again and again to bring our beautiful children into this world. A midwife is someone who is personal and true. She wants to hear and respect the needs of you. To plan for the arrival, and to set things in place, she gives you your space. Gina will comfort and care for you, as she did for me and my son. She understood and never was upset or mad. She is an amazing woman, full of compassion and love. We couldn’t have asked for a better midwife from God above. Around 30 weeks pregnant my husband and I suddenly and unexpectedly found ourselves moving to Denver, requiring a huge change of plans for the birth of our first child. How lucky we are to know Gina! Even though she has been a friend of our family for many years we were still nervous to proceed with a home birth. Her knowledge, experience, and obvious love for what she does quickly put all of our concerns at ease. During our prenatal visits we were never rushed and I always felt that our concerns were being listened to and addressed. When it was “time” baby girl ran the show and Gina was there to help as needed, giving us the birth we had hoped for. We cannot express enough how pleased we are with the care we received and are looking forward to doing it all over again! 2013 brought some major transitions for my husband and me; moving out of state, first home purchase, new job, finishing a master’s degree and welcoming our first baby into the world. I am a nurse myself, with nearly eleven years’ experience in pediatrics, NICU and PICU. We interviewed several midwives in the area and I felt an immediate ease and confidence in Gina during our interview. Gina agreed to start taking care of me and our baby, Alice, in our third trimester. Unfortunately, Alice ended up arriving nearly five weeks early; we had only been in town five days and were staying in a hotel when my water broke. We called Gina, went to the closest hospital, which was our emergency backup anyhow, and within seven hours our beautiful baby girl arrived. Gina met us at the hospital and acted as our advocate. We were scared and she helped our birth be as natural as possible. My husband actually took a nap while we chatted and laughed during my labor. Alice required an eight day NICU stay, but is thriving thanks to all of the hands on breastfeeding help Gina provided. Gina visited us at the hospital and our home for postpartum visits and received accolades from the hospital’s neonatologist regarding her professionalism. We will definitely seek Gina’s help for future pregnancies. I consider Gina a friend and trust her medical expertise emphatically. I have been honored to have Gina at 3 of my 4 births! I first met Gina when I was pregnant with my second child. She assisted at his birth. When I became pregnant with my third child, I chose Gina to be my primary midwife. She made that pregnancy and birth a very enjoyable experience. With my 4th child I once again chose Gina! It was so empowering, she was very hands off and I caught my own baby! I love that I can ask her opinion and get an honest answer, but still be free to make my own choices. I completely trust and respect Gina and her knowledge of pregnancy, birth, and parenting. I wholeheartedly recommend her to anyone looking for an empowering birth experience! We were blessed to have Gina Gerboth as our midwife who provided prenatal care, assisted my wife with the birth of our third child and post natal care of both my wife and son. rtly after my son was born in which my 2 older daughters are leaning over him, holding their dollies and watching as Gina expertly makes her examination of our newborn son. To say that I would recommend Gina’s services as a midwife to a friend would be an understatement, my endorsement of her goes even further: we will use her services again ourselves. I can think of no one who I would be more confident, and at ease with, to take care of my wife and children than Gina. If you want a compassionate and yet professional midwife to help make your pregnancy, labor and aftercare the easiest, most comfortable, and most joyous possible, then you too should seek Gina as your midwife. t son. However, we ended up with an emergency c-section. I had a really disheartening experience with my previous midwife. We hadn’t intended on being in a hospital. We had been assured though if we had to transfer she would stay with us. After my son was born she didn’t assist me with breastfeeding before leaving the hospital and we didn’t hear from her again for a few weeks. Thankfully, I had a great nurse that was very educated in breastfeeding and we overcame the obstacles of the hospital. When we discovered we were pregnant with our second son we hadn’t been in Colorado Springs for even a year yet. We didn’t know a lot of people to get references from for a midwife. So we interviewed a ton of midwives. We were hesitant after our poor experience with our previous midwife. Meeting Gina was a great relief. I felt confident in her abilities from day one. Gina was so easy to contact when I had a question and never acted inconvenienced. We were concerned about having another breech baby. Gina helped us look into some natural “tricks” to turn him around. We ended up being successful with acupuncture and to reassure us she ordered us an ultrasound. When I went into labor this time I didn’t really know what to expect. My first labor had been so long and I progressed so slowly. This labor wasn’t quick by any means. I had a lot of early labor. But in the end our beautiful little boy was born at home. This wouldn’t have happened without having Gina’s guidance and calming presence. We are so grateful to her! I was able to nurse my first son until he was 14 months old with no problems. So I felt confident that this baby would do the same. But he had other plans. Gina was so great when we were having some latch issues. She is so well informed and she makes herself available. We have finally gotten past those rough first few weeks. Gina was a tremendous help.We are moving to Texas soon. I can’t wait to move but I hate leaving Gina. If we were going to be here she would be the midwife assisting me in my future births. I highly recommend her for anyone considering a home birth or even just looking for support in a hospital birth. I can’t stress enough how calming her presence is. Her heart is in her work and it really shows. Gina was crucial to the pleasant experience of my first birth. Her childbirth class prepared me for what birth would be like. She was informative of our options and respectful of our decisions in planning the birth. She was calming during my transition phase and discerning on when and how to help me push the baby past the last physical barrier. Gina’s knowledge helped me in the following hours and weeks of establishing breastfeeding and caring for a newborn. I trust that she values the health of both moms and babies and would love to have her care for my next birth as well. Gina was not my original midwife (mine ended up out of town when I went into labor), but I felt so comfortable with her there. She was very encouraging–especially with suggesting different positions to labor in that I never would have tried if she hadn’t suggested them. I had the distinct pleasure of knowing Gina during the birth of our first son in July of 2012. After an exhaustive search of midwives in our area, my wife and I were privileged to have Gina just pop in our lives at just the right time. As a Paramedic, I was a little tentative about a home birth with our first born. Gina put me at ease with her knowledge and experience. We loved working with Gina because her style combined common sense and modern medicine with a natural and holistic approach to home birth. The spectrum of her knowledge base was a great asset from beginning to end. We have a healthy, happy baby boy thanks to all the good advice and care we received. My husband and I were fortunate to have Gina as our midwife. We had hired a different midwife but plans fell through and we ended up with Gina. Although we loved our previous midwife, we knew Gina was a perfect fit for both my husband and my personalities. I needed someone who could help me emotionally and, because my husband has been a paramedic for over ten years, he required a midwife with a medically sound background. Gina fit both of our expectations and we had an amazing birthing experience with her! Gina helped us considerably with pre- and post-care as well. She was very thorough in her knowledge of homebirth and it brought peace to the day of delivery. She really went the extra mile to ensure a safe and successful experience from the beginning of our pregnancy to weeks after our son’s birth. We are currently moving to Durango, which saddens me as I would have loved to have her assist me in the future. She comes with my highest regards! Gina was wonderful. She was very supportive and encouraging throughout my labor, and I felt that she made the right calls even when that involved a hospital transfer. I trusted her judgment and it turned out to be a very good decision. I would definitely trust her again for future births. Gina’s healing touch was instrumental in achieving the loving home birth I wanted. Gina was completely honest with my husband and me from day one, which was so refreshing. She answered all of my silly questions through all nine months (and I had a lot considering it was my first baby), and having several different ways (phone, email, Facebook) to contact her was so nice. During my daughter’s birth, I found Gina to be a calming presence who made sure all of my wishes were followed. We consider Gina a part of our family and are blessed to have had her assist in the most magical 9 months and 21 hours of our lives. My pregnancy was rough. I was new to town, away from family, I developed gallstones and my husband was sent away for work. I didn’t know when I contacted Gina for my care that she would be the person to get me through it. When I was rushed to the ER in my second trimester because of my gallbladder, Gina was there in the middle of the night, asking questions and helping me get answers. She was absolutely my rock and I’m pleased to now call her my friend. My birth also didn’t work out exactly as planned, but I feel Gina did everything she could to protect my health and the health of my son and to encourage me to make the best decisions for us. Even though I was transferred to the hospital and eventually gave birth through a c-section, Gina was there every step of the way and after my birth gave me the confidence that I can achieve a VBAC with my next pregnancy. I would highly recommend Gina to anyone who is looking for a midwife with knowledge, skills, and a really big heart. It was a privilege to have Gina deliver our fourth child. This was our only natural childbirth, and yet the whole event passed so seamlessly that it was the quickest and most pain free. She is both thoughtful and competent and helped make our first home birth one of the best experiences of our lives! Gina was our midwife in 2010. This was our first experience with a home birth. A good friend referred Gina to us in Pueblo. We have had midwives before for 8 out of our other 9 children, but their births were in a hospital. 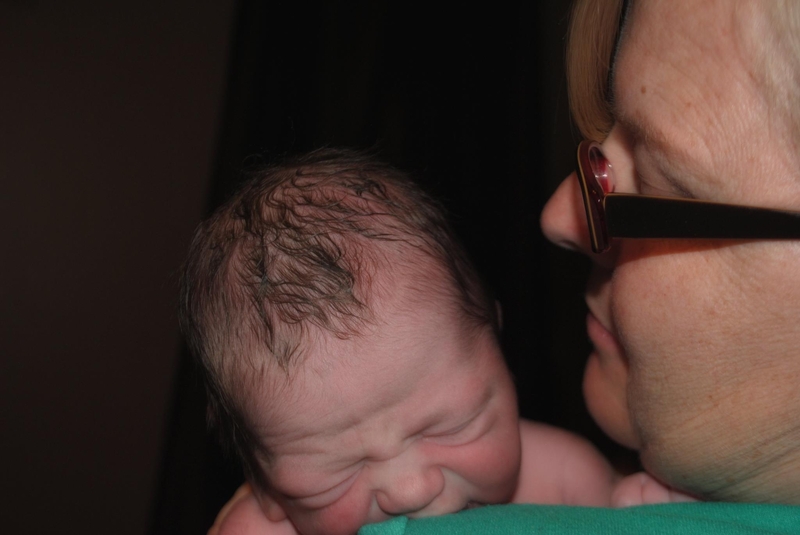 I had never wanted a home birth, fearing the mess and complications. When we first met Gina, she went over a plan of care and was able to allay our fears and concerns. Our 10th child was just a bit over 10lbs and a little bit difficult to get out, but Gina did a great job. She and her assisting midwife stayed, cleaned up, and made sure baby and I were doing fine before they left. Gina came back to check on us on day 1 and day 3. I healed faster and felt more rested than any of our other births. I really believe that was because I was just able to go to bed and not be disturbed by all the hospital routine checks. I highly recommend home births and midwife Gina. She took great care of me and has genuine concern for her clients. I couldn’t have asked for a better birthing experience than I had with Gina as my midwife. She was extremely knowledgeable and educated. She gave me a feeling of security, and the confidence I needed to deliver my baby the right way….naturally. I knew Gina would make the best decisions for the health of me and my baby during my pregnancy and delivery. She has made herself available for all of my ‘new mom’ questions and always has a common sense answer and approach, which fits my goals as a mother perfectly. God permitting, Gina will definitely deliver all my future babies! Gina is the most nurturing, caring, kind childbirth professional that I could ever dream of. During my whole pregnancy, I had complete confidence in her abilities and expertise, but the thing that stood out most was that she cared about me and my baby. She was infinitely patient with loads of false labor throughout the last month of pregnancy (and even came to my house in the middle of the night twice). I can’t recommend Gina highly enough—she is an amazing midwife! I was pretty confident in my ability to have a natural birth, but when complications arose necessitating an induction at 39 weeks I was really thankful to have Gina there in my corner. Her support helped me continue to believe in myself and my ability to birth without pain medication through an intense induction and complications that kept me in bed…Gina was very helpful when breastfeeding problems arose as well. I probably wouldn’t have achieved my nursing goals without her reassurance and wisdom.